LAGOSJANURY 15TH (NESRANGERS)-Super Eagles captain, John Mikel Obi and Victor Moes could be set to join Chelsea’s London rivals, Crystal Palace, this January window. Palace are ready to strengthen their squad this month with the signings of Mikel Obi, who is a free agent, according to TeamTalk. 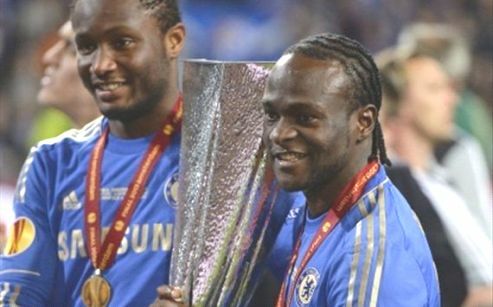 The Eagles might also go for his compatriot, Victor Moses, who has been frozen out at Stamford Bridge. Moses, who is a former academy star, could arrive Selhurst Park on a loan deal. Mikel Obi has indicated his interest to return to Europe, after terminating his contract with Tianjin Teda.